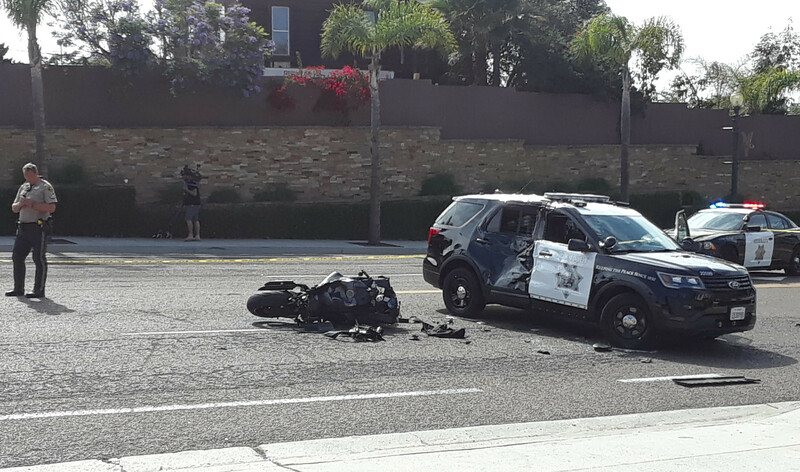 ENCINITAS — A motorcyclist smashed his bike into the rear of a sheriff’s patrol car, as the deputy made a left turn, and was killed on Sunday, June 24, in Encinitas. The crash was at about 11:30 a.m. on South Coast Highway 101 north of D Street, according to Lt. Amber Baggs of the San Diego County Sheriff’s Department. Witnesses told deputies the biker was speeding on northbound Highway 101, sheriff’s Deputy Tammy Bennetts said. A deputy, who was on duty, was headed south on Highway 101 in a patrol vehicle and began a left turn as the bike approached. The motorcycle struck the rear passenger side door of the deputy’s car and died at the scene, Bennetts said. No estimate on the motorcycle’s speed was immediately available, nor was it revealed immediately if the deputy had been responding to an emergency or had activated the car’s lights or siren. Has the state actually sued any city ? I don’t think so!